While I was whiling away the time this autumn from the discomfort of long hours behind a desk, something amazing was happening out there in the real world. 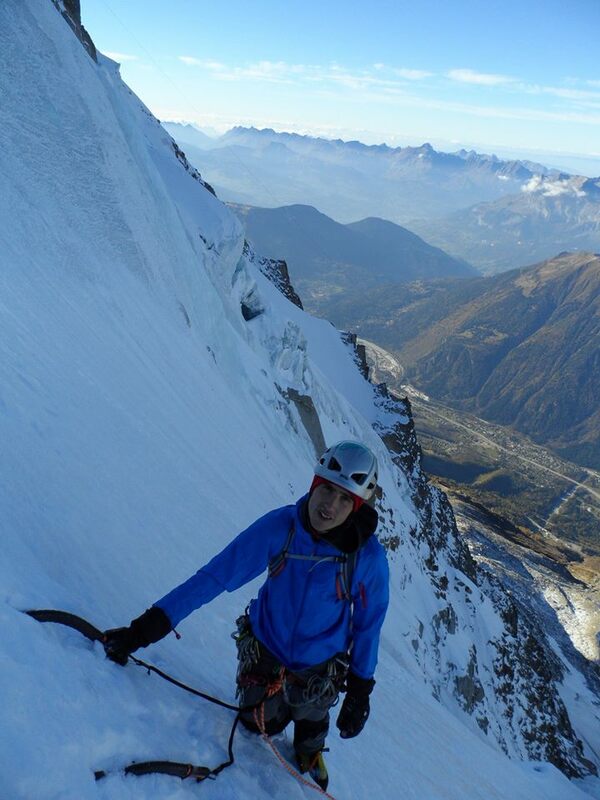 Social media alerted me to incredible mixed climbing conditions the Alps as icy tentacles started to drooling down the faces providing relatively easy passage for all the mixed masters. Fomo was kicking in pretty badly and I managed to engineer my way out of work for a week in September and another in October. 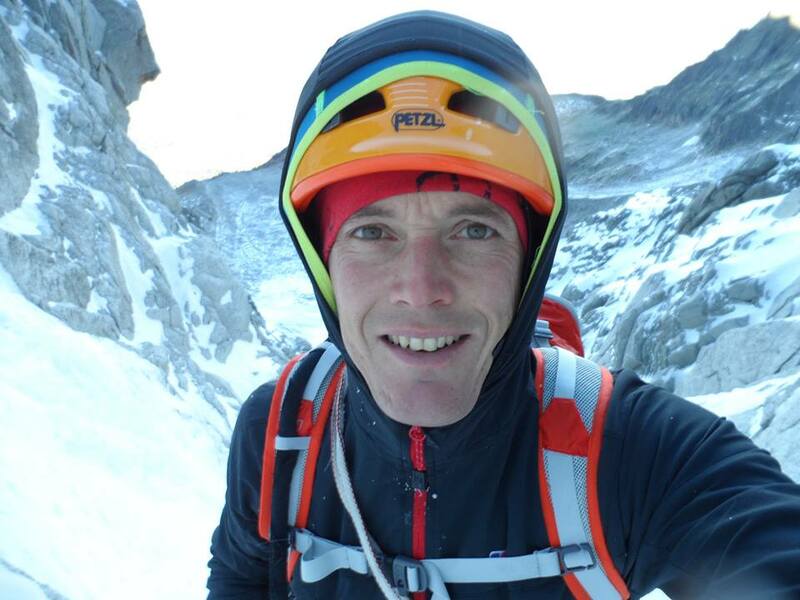 Success on the Michto-Polish route on the Jorasses in September brought confidence in off the couch fitness and ability to use a pair of tools after a year or two off. It allowed the mind to explode with all the possibilities and adventures out there given the right partner, enough time and the weather. I eagerly looked forward to the October holiday knowing one big route would calm the mind from the boredom of work during the run into the ski season. Conditions just seemed to get better and the weather was looking great. The week before heading out there was a minor blip with some days off training due to a cold. Arriving in Chamonix I took advantage of the Brevent being open to get some lift assisted mountain biking i.e. downhill. But then I started to feel tired, like wtf, am I imagining this? I thought it was probably psychosomatic but not completely willing to try my theory out on a big face, we decided to go for a quick hit on Chere Couloir. A friend had recently solo’d it and reckoned the serac was not threatening. And so Sandy and myself started romping up the neve plastered line and I was feeling ok, not great but ok. Then boom, out of nowhere my body went cold and into shutdown mode like I had flu. I put on ever stitch of clothing from my bag and continued to climb in it all the way to the top. Just as well we weren’t on the Grand Pillier D’Angle! I Guess it pays to listen to your body no matter how much you want to do something. 6 weeks later and I think I have finally got rid of what was bugging me, just in time for the snow to arrive. 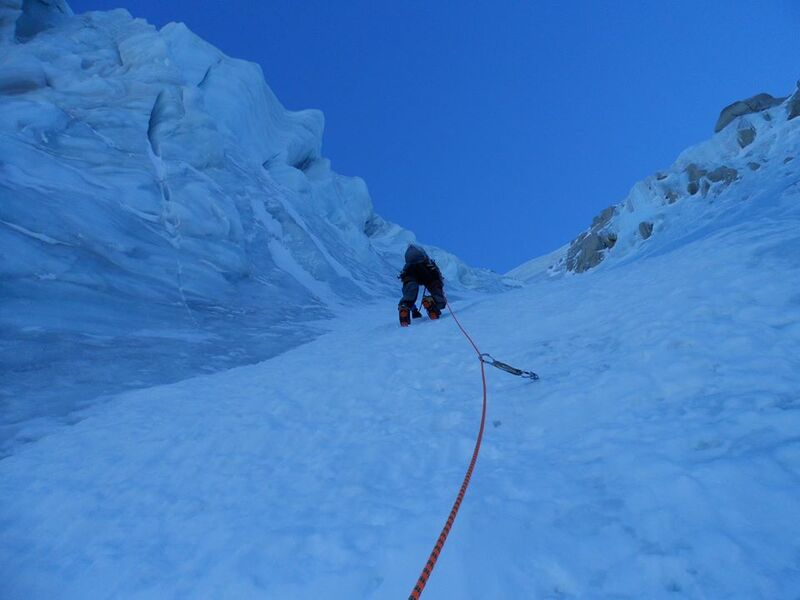 And the serac is mildly threatening, enough to make us feel relieved once we had past it! This entry was posted in Climbing and tagged Aiguille du Midi, Berghaus, Chamonix, Chamonix blog, Chamonix Mont Blanc, Climbing, couloir chere, mixed climbing, mixte, Sandy Simpson by Ross Hewitt - Skiing, Climbing, Photography. Bookmark the permalink.